word that the new requirements would be phased in over a longer period than expected. An index of 24 bank stocks jumped 3%. In some sense, it’s probably banks themselves that have the best idea of just how effective the new regulations are — they have the biggest incentives to figure it out, after all — and this reaction almost certainly says a whole lot more about what they think than all their reams of special pleading over the past few months put together. I’ve said before that the acid test for financial regulation is whether or not it reduces industry profits, and so far the reaction to both Dodd-Frank and Basel III suggests that the banks themselves are pretty sure that the good times are going to keep rolling. Beyond that, there’s another big criticism of Basel III. But first, some background: the basic idea of the Basel regulations is that banks need to have a certain amount of money (capital) to cushion potential losses from their loans (assets). So there are two sides to the equation. The first is how good a bank’s capital is. Ideally, it should be something that a bank has fast and sure access to, not something that another party might be able to claim when times get bad, or something that can’t be quickly converted to cash. On that score, Basel III does a fairly good job of tightening things up. Precisely because you now feel like you know what your risks are, you’re going to be inclined to hedge them, until you get your risk position down to something de minimis….Everybody still has to make money, though. And since taking any additional measurable risk is now stigmatized, the game becomes how to increase returns without increasing measurable risk. And that, predictably enough, means that more and more money piles into products with risks that either cannot yet be measured or, even worse, that the financial world is not aware exist. Developments in banking regulation in the last decade, meanwhile, have turbocharged this process, and I’m increasingly convinced contributed mightily to the financial crisis. At the heart of the financial crisis, after all, was banks investing in highly-rated debt backed by lousy mortgages. But why did they hold so much of this debt? In part because they could plausibly argue that it was risk-free or nearly risk-free. Double- and triple-A-rated debt had very low risk-weighting. Similarly, anything hedged with a double- or triple-A-rated financial counterparty had a very low risk-weighting….Basel III retains this basic framework, but increases (somewhat) the amount of capital that banks need to hold generally. Therefore, it should further increase the incentive to avoid measurable risks and to hold positions whose risks are not well-measured. When I first read the BIS press release on the new capital requirements, I was under the impression that it didn’t address the issue of risk-weighting simply because that was scheduled to be addressed later. But I gather that I was wrong about that. It didn’t address it because Basel III simply doesn’t address it. This means that banks still have a huge incentive to engage in regulatory arbitrage, desperately searching for assets with AA or AAA ratings because they can be levered up far more than ordinary loans. In fact, the higher capital requirements might provide an even bigger incentive to do this than before. After all, reducing your capital requirement from 10% to 2% is a bigger deal than reducing it from 5% to 1%. Now, as it happens, Basel III does add a simple leverage ratio to complement the new capital requirements: capital has to be at least 3% of total assets with no risk weighting. That’s a good addition, but 3% produces leverage of 33:1. That’s a lot of leverage, and as Zach Carter points out, it’s probably too high to really have any moderating effect. So what’s the right leverage number to shoot for? Martin Wolf thinks it should be in the neighborhood of 5:1. That’s probably too extreme in the other direction. But ten or fifteen to one? That would do the job nicely. Bottom line: requiring banks to carry more, and better quality, capital is a good idea. 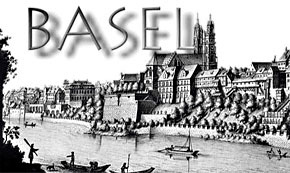 Basel III really does make things better. But I’m beginning to think that, like Dodd-Frank, it only makes things a little bit better. Consider me a bit deflated.